I knew little about Sweden when I arrived in the country last month. I imagined it would be pretty similar to Canada, a nordic first world country with good infrastructure and mostly middle-class people. And I wasn’t exactly wrong. But I also discovered a few things that make Sweden uniquely well… Sweden. Here is the top-5 list of favourite things about Sweden I came up with after exploring the country for two weeks. It’s no secret that I love coffee, and although many countries are serious about serving quality coffee, Sweden takes it to a whole new level. Swedes are the world’s third biggest consumers of coffee (after the Dutch and the Finns). They even have a special name for their coffee break tradition: fika. Fika is both a noun and a verb, and “to fika” means to have coffee (or tea or juice) preferably with a baked good. It is a social occasion, where friends or co-workers sit together and chat for a while. You won’t find too many “coffee-to-go” cardboard cups here. It is not unusual to have a fika both in the morning and the afternoon. Cozy cafés and bakeries abound, and you’ll find one in even the tiniest village. The quality of the coffee is high and the pastries are wonderful. 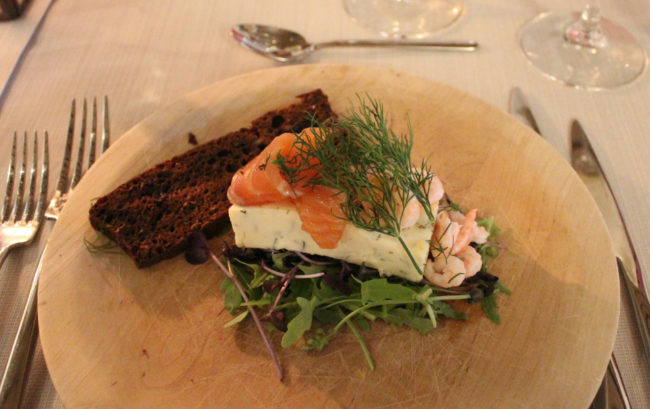 Food in Sweden is expensive compared to Canada, but it’s always fresh and often organic. The breads are rich and nutritious. Cheeses and yogurts come in myriad varieties, and being a maritime nation, fish is abundant. Salmon in particular seems to find its way at every meal. I saw smoked salmon at a breakfast buffet, baked salmon for lunch, raw salmon atop an appetizer, even salmon served as fishcakes. You’ll find salmon on just about every menu, from sandwich shops to top restaurants. I love it! Potatoes were most often boiled but still tasty, especially the new potatoes with their skin still on. Salads came with light dressings. I don’t think I saw anything deep fried. Stockholm has an excellent metro system with trains coming every few minutes during the daytime, and even operating at night (on a reduced schedule). Göteborg (Sweden’s second largest city) has no metro but operates 13 tram lines. Inter-city trains leave and arrive on time. Everything is clean and efficient. Lots of people also ride bicycles through town, further reducing the amounts of cars on the roads. Traffic gridlock is virtually unknown in Sweden. Add to that temperatures that rarely rise above the mid 20s Celsius (75F), and the air always seems crisp and fresh. At first I thought that the Swedes were shameless jaywalkers. Then I learned that as a pedestrian, you’re allowed to cross on a red light, if you judge that it’s safe to do so. Here is a country that trusts the common sense of its citizens. Take any tour of Stockholm, and you’ll learn that the city is one-third water, one-third green spaces (some sources say 40%) and one-third built up. The water is explained by the fact that Stockholm consists of 14 islands. The green spaces include everything from city parks and gardens to the 27 square kilometres Ekoparken, the world’s first urban national park. And it’s not just the capital city that’s green. The countryside is filled with endless pine forests and farmland, as I got to experience during my 3-day trip to the Småland region. 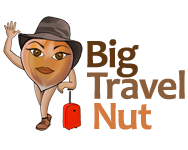 Then there is allemannsrett (literally”every man’s right”) or “the freedom to roam”, which is the legal right to access private land to wander freely in forests and fields, pick berries, mushrooms, and wildflowers (if not endangered), even camp for one night and cautiously make a fire! No wonder the Swedes love the outdoors. 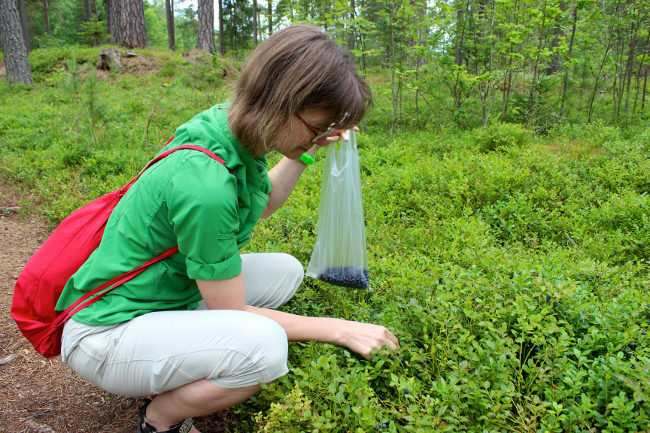 My friend in Örebro took me to a forest trail where, just a few metres from the road, large swaths of blueberry bushes were ripe for the picking. We ended up with at least half a litre of berries after about half an hour! Stockholm was the first city to be nominated European Green Capital in 2010 for its consistent record of high environmental standards and a commitment to sustainable development. Of course this didn’t affect me as a tourist, but I like that education in Sweden is free, including college and university. The percentage of the population between 25 and 64 years old who has a college education in Stockholm is 56%. All these educated people can perhaps explain why the capital is a well-ordered, consensus-run modern city with people moving in the same gear. Healthcare is also almost totally free. The Swedish healthcare system is 97% government-funded and primarily financed through taxes. Prescription drugs are also free after the first $250 or so. Everyone is guaranteed the same access to health services, including expats. Can't believe TBEX is almost one year ago! Thank god, I got to return to Sweden several times already since. 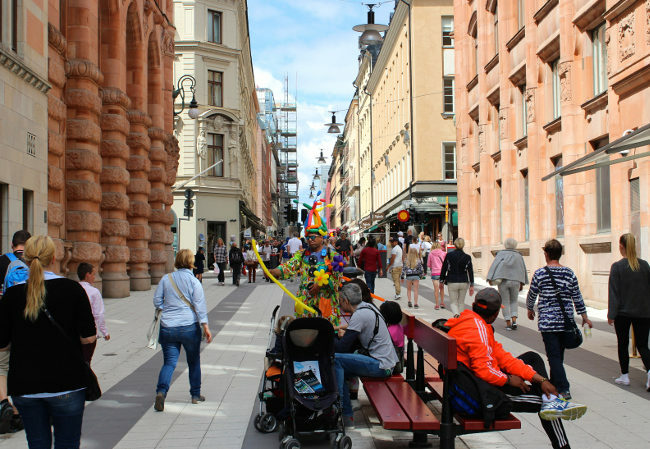 Yes, re-reading this post made me miss Sweden a little bit, especially Stockholm.